WAVES is a youth group making a difference. Based at the YMCA Sovereign Centre in Reigate, the group aims to raise awareness of mental health issues and provide support for young people in need, aged 11-19. In July this year, four young people from WAVES went to Eschweiler, a small town in Germany with the Reigate and Banstead Twinning association as Eschweiler and Reigate are linked/twinned together. For some of the young people this was the first time they had been abroad. Last summer they got to meet some of the young people from Eschweiler who came to England to visit. 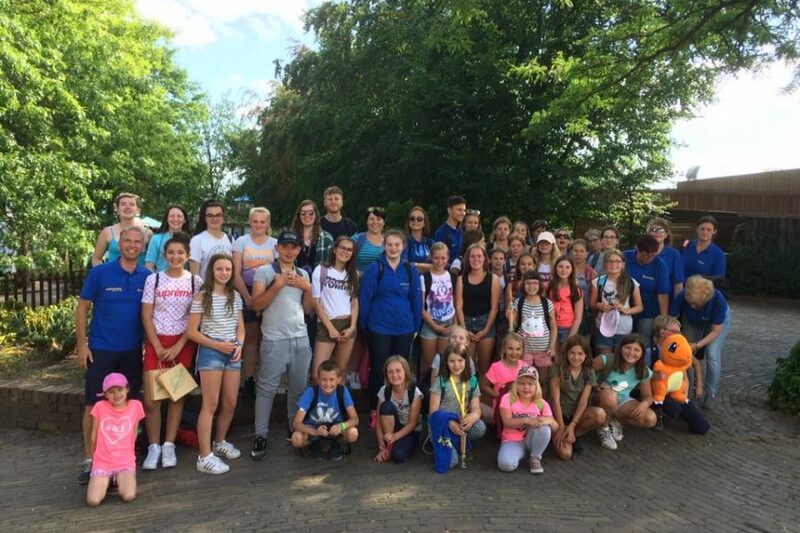 The group put on a fun activities day for them and had a great time doing photography and trampolining so they were really excited to go and visit everyone again in Germany. On the first evening they had a BBQ to meet their host’s family and friends. They were all a little nervous being in a different country but everyone made them feel so welcome – the BBQ was also delicious! On the second day they went on a boat trip and took lots of photos, had some huge ice creams and also got to paddle in the river. They were even able to catch the World Cup England match while traveling back on the boat. In the evening they tried some traditional German food in Dusseldorf. The third day was the group’s favourite day. They went with their host and his youth group to Belgium for the day to a theme park. They went on some amazing rides that where a little scary but really good fun. Their favourite ride was called The Tornado and it had one huge loop in the middle of it. The group agreed the best bits about the trip were being able to experience being in a different country and all the new friends they made. Anyone wanting to find out more about the WAVES youth group, should contact the YMCA Sovereign Centre on 01737 222859 or go to www.ymcaeastsurrey.org.uk/waves/.